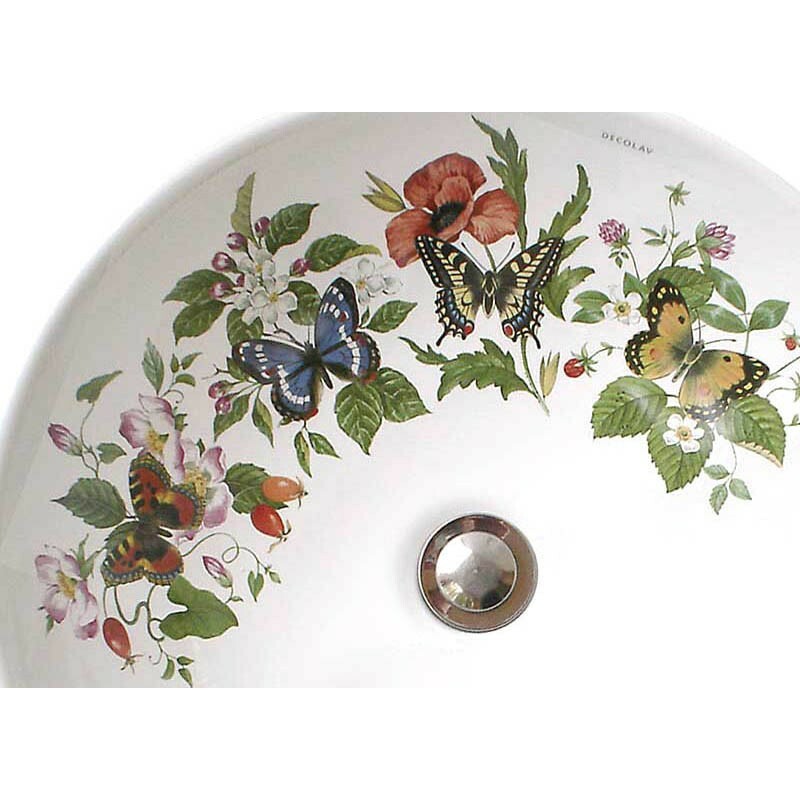 Four beautiful butterflies painted with flowers and fruit including, strawberries, clover, poppies, rose hips and more adorn this vessel sink. 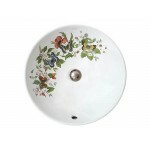 Great selection of traditional colors, timeless motifs and just a very pretty design. One of my favorites to make and a tasteful addition to any bath or powder room. Shown on a white Bowl Vessel. Can be adapted to any sink. Visit our Fixture Choices page for options. Looks beautiful on a biscuit fixture too. I love my butterfly and flowers sink. I usually keep the door to my powder room closed but now I leave it open so that I can enjoy the sink every time I pass by!